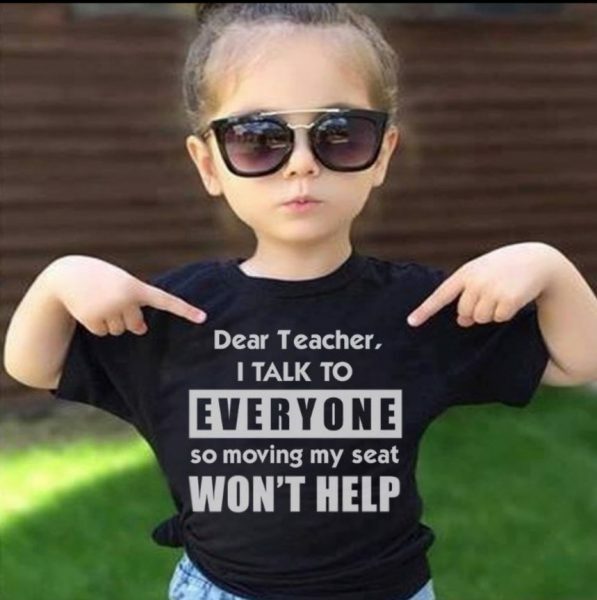 Some memes are funnier than others like the one of a sassy six-year-old pointing to a t-shirt that reads, “Dear Teacher, I talk to everyone so moving my seat won’t help.” This made me think about classroom management and how I handled “those” students as well as other strategies to keep the peace [of mind] inside the four walls that I called home for more than 15 years. I know, I know. Children are supposed to be seen and not heard. All eager learners should sit in their seats with their hands neatly folded on their desk waiting for the next set of instructions on mastering the skills needed to succeed. Wait! What?! I hope that is not a practice you hold near and dear to your heart because if you haven’t noticed, students talk. As educators and guides, we can learn how to channel that conversation and discussion to manage behavior in a constructive way. Imagine meaningful discussions among students, rather than talkers blurting out, where the teacher facilitates and guides individuals and the class to deeper insight through critical thinking questions. Pure bliss that includes the teacher having the skills to guide the class to deeper insight and students not blurting out can be taught and encouraged. First, determine key questions on various Bloom’s Levels that will engage students in discussions and write these on index cards or slides to project onto the white board. Recall and understand are good places to begin; however, up your questioning game by creating higher level thinking questions. Next, teach students how to respond to these questions in a meaningful way. Often, I would ask students to write their support and justification on their devices in some way during individual quiet time response. What needs to change over the next few weeks? 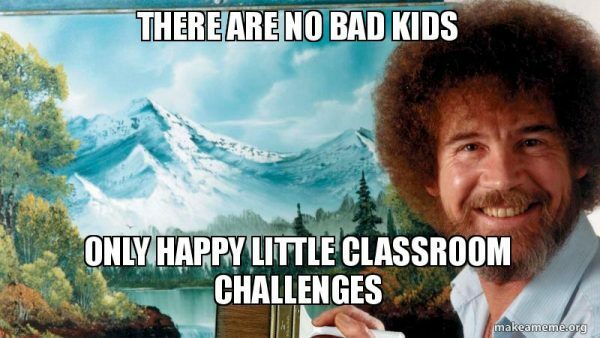 The focus of classroom management is to teach students to manage their own behavior, so they will become productive citizens and manage appropriate behaviors into adulthood. As George Eliot said, “It’s never too late to be what you might have been.” Or in our case, it’s never too late to do what you should have done to understand the characteristics of students and channel that energy in a positive manner!